The Dark Elves are underground-dwelling renegades from the Elf forests who have made a pact with the mysterious Faceless. 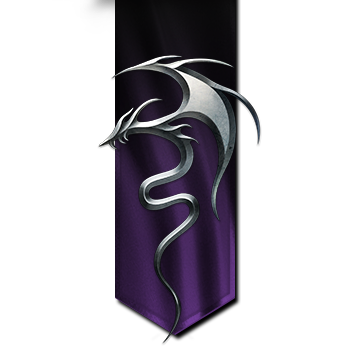 Deadly schemers in the darkness, their whole nation is imprinted by Malassa’s mark. Forced to hear the constant whispers of the world, the Dark Elves know that the border between sanity and madness is very thin… thin like a dagger’s blade. When the High King Arniel decided to usurp the powers of the local Elf kings and make his own title hereditary, Queen Tuidhana refused to bow to his outrageous demands. She declared her kingdom of Tarlad, located at the north-western border of the Holy Empire, independent from the High King. The greedy knights of the Holy Emperor Liam Falcon seized the occasion to invade Tuidhana’s lands. Battered by the imperial armies, Tuidhana appealed to Irollan for help, but Arniel chose to let her land suffer and her people die. Desperate to protect her people, Tuidhana turned to the few surviving Faceless. They were willing to help her for a price. In exchange for their help her people were to convert to Malassa, the Dragon Goddess of Darkness. Tuidhana accepted their offer, and the Dark Elves were born. With the newfound powers granted by her Faceless allies, Tuidhana reaffirmed her independence. Her kingdom’s freedom was recognized – at swordpoint – by Elves and Humans. An uneasy peace settled between the Elves and the Dark Elves. Twenty years passed in a rough truce, until a terrible accident sent things from bad to worse... A criminal fire was set to Brythigga, the Mother of Trees, leaving a blackened scar on the earth where nothing would ever grow again. The Dark Elves were blamed for the heinous crime. 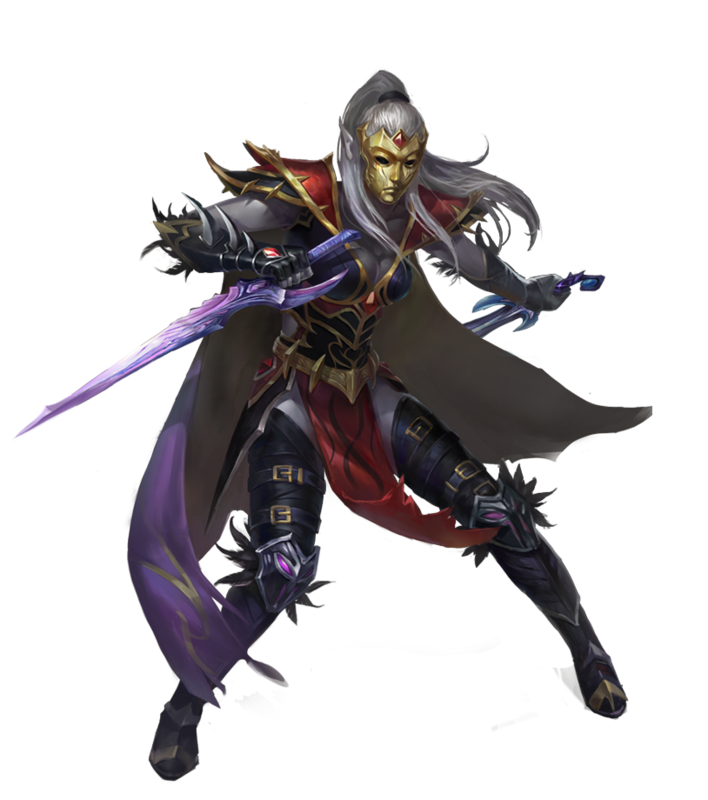 Through their dealings with the Dragon Goddess of Darkness, the Dark Elves and their allies have gained the ability to become ones with shadows, intangible and invisible, only revealing themselves when they are ready to strike. Dark Elves favour Dark Magic, the “alien” magic of the mysterious, unfathomable shadows. 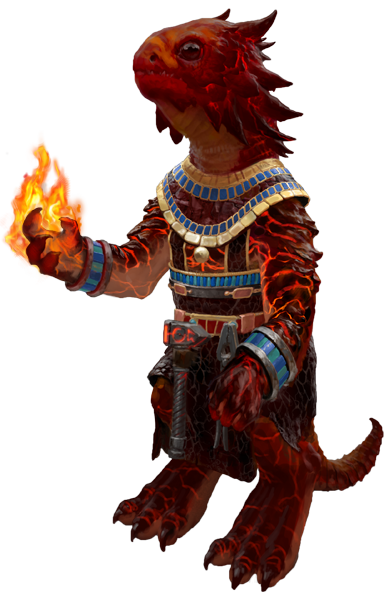 Their spellcasters specialize in deception and stealth, and the most powerful can even feed on the willpower of their enemies. Above all else, the followers of Malassa value information, its acquisition, manipulation and obfuscation. Dark Elves are a pragmatic people, and bribery and assassination are often cheaper than raising an army. Elite Dark Elf troops are fast-moving skirmishers, armoured in light scale mail, and armed with curved sword and throwing daggers. 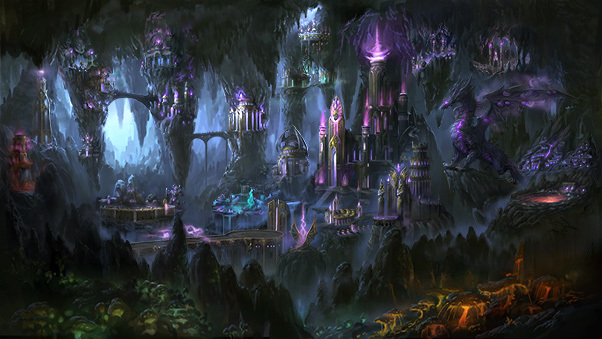 Their most powerful allies are the terrifying Black Dragons and the Cave Hydras that dwell in the bottomless Abyss.